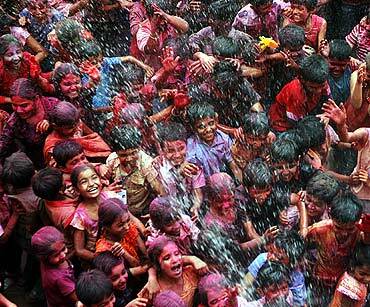 The most memorable part of the year is here, and the world is rejoicing, and how. 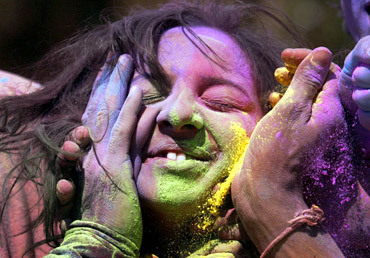 Rediff.com presents a bouquet of scintillating images as the world celebrates the arrival of the spring season in their own beautiful ways. 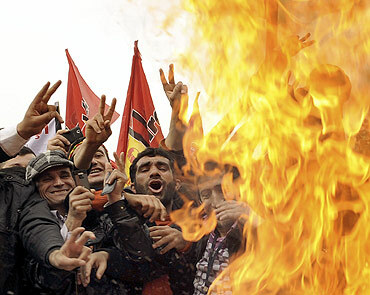 Demonstrators gather around a bonfire to celebrate Newroz in Ankara, Turkey. 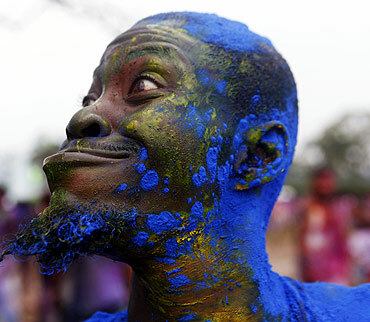 Newroz, which means 'new day' in Kurdish, marks the arrival of spring and is also celebrated in Afghanistan, Azerbaijan, Iran, and Tajikistan. 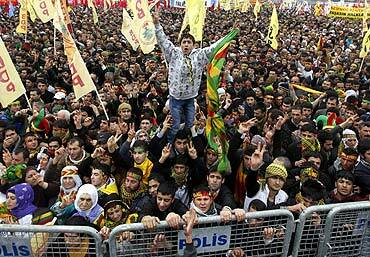 Newroz has long served as a rallying cry for Kurdish nationalism and public celebrations were illegal in Turkey until 2000, when fighting between security forces and separatist guerrillas fell sharply. 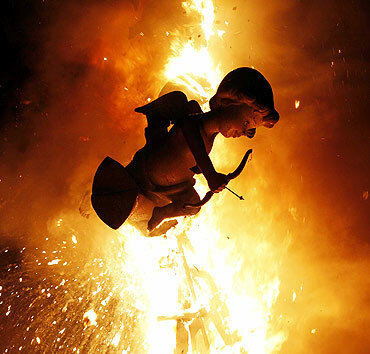 An effigy burns during the finale of the Fallas festival, which welcomes spring and honours Saint Joseph's Day, in Valencia, Spain. 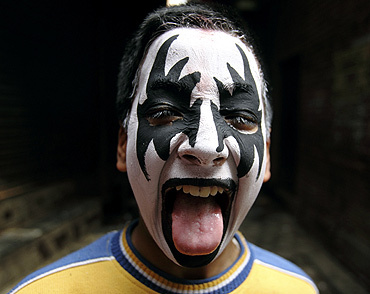 Fallas are giant elaborate sculptures and effigies made of wood and plastic which are burned at the end of the week-long spectacle of processions, fireworks, music and dancing. 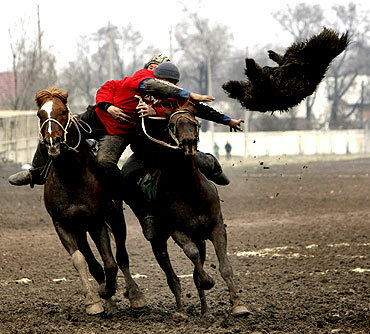 Considered Kyrgyzstan's national sport, Kok-boru is a traditional Central Asian game where players grab a goat carcass from the ground while riding their horses and try to score by placing it in their opponent's goal. 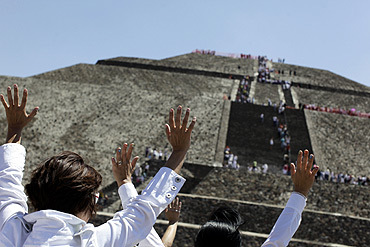 People raise their arms towards the sun while standing in front of the Pyramid of the Sun in the pre-hispanic city of Teotihuacan on the outskirts of Mexico City. 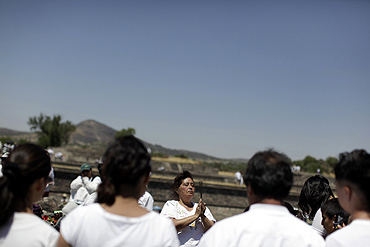 Thousands of Mexicans and tourist gather in Teotihuacan every year to welcome the spring equinox. 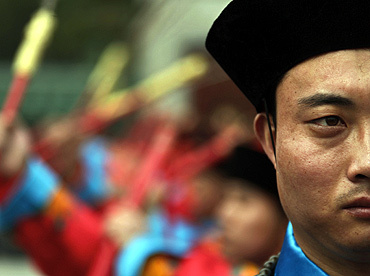 An actor in traditional costume performs during a ceremony adapted from an ancient Qing Dynasty tradition where emperors offered prayers to the sun, at the Temple of the Sun in Ritan Park, central Beijing. 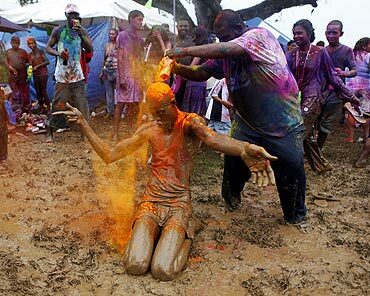 According to organisers, the ceremony is held on Chunfen, also known as the vernal equinox, which falls on March 21 this year according to the Chinese lunar calendar. 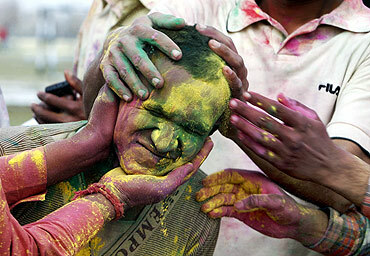 India's economic boom creates 55 billionaires!